With the prices of real estate rising, people are opting for smaller and smaller apartments. Whether it is a studio apartment on ipoh property or in the middle of bustling KL, downsizing your living space does not have to be a headache-inducing endeavor. Living in small spaces means that every single square foot counts. There are numerous small changes you could make in your living space to make it feel larger and more open. Today’s list compiles a number of design tips that you can incorporate into your studio apartment to turn any negatives into a positive. With a studio apartment, you are limited in terms of square footage. Thus, it becomes ever so important to make your furniture do double-, or even triple-duty. Double the function, double the space! You can try placing your bed with the long edge against the wall (like how you would place a sofa). This way you can transform your bed into a sofa during the day by a simple rearrangement of throw pillows. Also consider looking at side tables with upholstered top surfaces that can turn intro extra seating when it is needed. Thus, buy making sure your furniture is multifunctional, not only will you end up saving space, you’ll end up saving your budget! When you live in a studio apartment, it helps if you create and establish different zones for living. Breaking up the space and creating “rooms” within the room helps make your space feel less like the one-room apartment it is. You can consider using decorative wall dividers or a thin bookcase to visually divide the spaces in your apartment. You can even create permeable “walls” by hanging sheer curtains or beading from the ceiling. Otherwise, you can fall to accessories, art and small details to divide. For example, you can use a rug to delineate the living room area. Use a sturdy sofa as the focal point of the room. Other accessories such as a solid coffee table can help anchor the living zone. This gives each living zone in your studio apartment the visual strength it needs. If your budget allows for it, you can also mark out the different living zones in your apartment by level. Think about adding a platform or a riser under your bed to separate it from the rest of the apartment. This also does double-duty, as the space under the riser or platform can be turned into extra storage space with the help of a few drawers. One great way to reduce the clutter of numerous furniture pieces is to create efficient wall shelving. You can go for traditional shelving or use floating well shelves if you are a bit more adventurous. This provides extra and ample storage space while taking away the need for large bulky standalone shelves. Furthermore, having your items in place on the walls lends some character and color to your walls. White walls are amazing for numerous reasons. Lighter colors make your space feel more open and spacious. This something every studio apartment needs. Also, it allows you flexibility and versatility in your furniture and décor. Think of white walls as a blank canvas with which you can add pops and dashes of your personality. Keep a look out for anything that comes in a foldable version. Chairs, tables, desks – you name it. This helps free up some valuable floor space. Once you’re done using it, you can fold it up and store it away! This also helps keep your apartment clutter free. Since you can’t expand the size of your apartment horizontally, the only way left is to go up vertically. You can consider hanging your curtains up close to the ceiling to make your room feel airier. This helps guide the eye higher up towards the ceiling, elongating the feel of the entire space and in turn making the room feel much larger than it actually is. While you may think having small pieces of furniture helps save space, the reverse is true. Lots of small furniture can end up cluttering your space, making it feel cramped and messy. While large pieces of furniture will actually make your studio apartment feel bigger and more spacious. Think about investing in a handful of large, functional pieces to give your studio a warm and cozy atmosphere. It might be a narcissists dream come true, but mirrors can automatically make any room appear larger than it is. Their reflective quality tricks the mind into perceiving that there is extra space. You can invest in large wall length mirrors or even just hang up one or two framed mirrors. Sometimes, clutter is what makes a small space look even more cramped. Consider dumping the open-concept wardrobe and installing cabinets that are closed in efficient places, such as above your bed. You can also store your other stuff below your bed. Remember the age-old mantra: out of sight, out of mind. The last thing you want in your apartment is an assortment of clutter with little meaning and haphazard organization. If you don’t have tons of closed cabinetry or drawers, you can arrange your stuff well on open shelves, either by size, function or color. This helps keep your things streamlined. It also adds an artsy-fartsy design touch to boring shelving. In an apartment with limited space, you’ve got to make use of every available square foot. Think about floor to ceiling shelving, or storage compartments under your bed. Think about incorporating storage in every available corner. Thank you atas tips ini. Mana tau kot kot aku kaya 20 tahun akan datanh, nak beli rumah sendiri, nak sewakan kat orang haaa boleh lah deco rumah based on artikel ni. Sebab studio apartment ni nampak je besar tapi kecik je sebenarbya. Agree with your idea. Try not to put a bit items of furniture as it will make the space look smaller. Loose furniture is the best ask you can customize according to your space. And of cos the wall color play the role here too. Terima kasih atas perkongsian. Tips yang sangat bagus untuk orang yang sedang cari idea untuk deco rumah yang bersaiz sederhana. Perkongsian yang bijak untuk mereka yang mempunyai rumah dengan keluasan yang kecil tapi masih boleh dekorasi rumah supaya tampak luas. Kena guna perabot yang tak terlalu bulky sebab perabut bulky ni makan space. Wrana perabot pun kena warna cerah2 untuk ilusi nampak luas. Segala tips dan cadangan ini memang sangat berguna untuk kediaman baru Rawlins. Memang just in time plak Amir keluarkan tips begini. TQ Amir. For me studio apartment is a good option for single people. But if you’re married, you might need to look for a spacious place. Will be more comfortable for both husband and wife. Great tips! I really cannot imagine myself to live in a studio apartment. It’s too small for me. I have tons of accumulated items here in this house. No matter how I managed comma I still unable to make my 3 bedrooms apartment as cosy as possible. bagus tips ni. Memang studio apartment kecik compare rumah biasa tapi sebenarnya aku lebih suka duk rumah kecik sebab senang nak kemas.. muahahaha.. Nampak nau malas. Tapi tu la, rumah kecik ni kena pandai susun barang kan. Baru la selesa. A good tips too for small house with 2 bedrooms. Agree paint your wall with white colour and add on a multi function furniture. 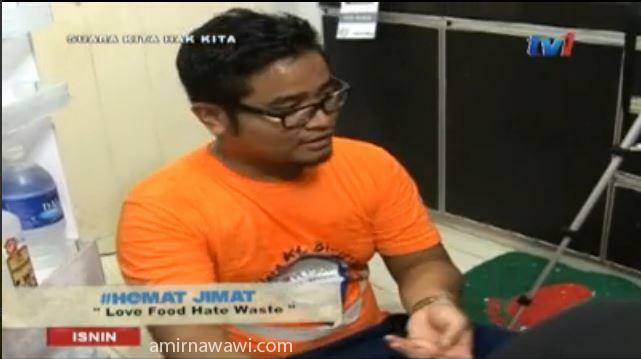 terima kasih amir untuk info ni. boleh rujuk sini nanti di masa hadapan. inshaaAllah. 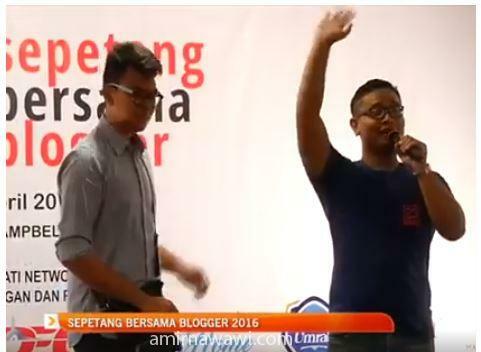 Wow bila abang Amir tulis dalam English language saya sangat kagum dan mungkin bakal jadi blogger lebih berjaya. Thanks for the tips very helpful especially for the small house. I love the tips! One more point that you may add is, play with the mirror. Mirror can create an illusion to wide the space.